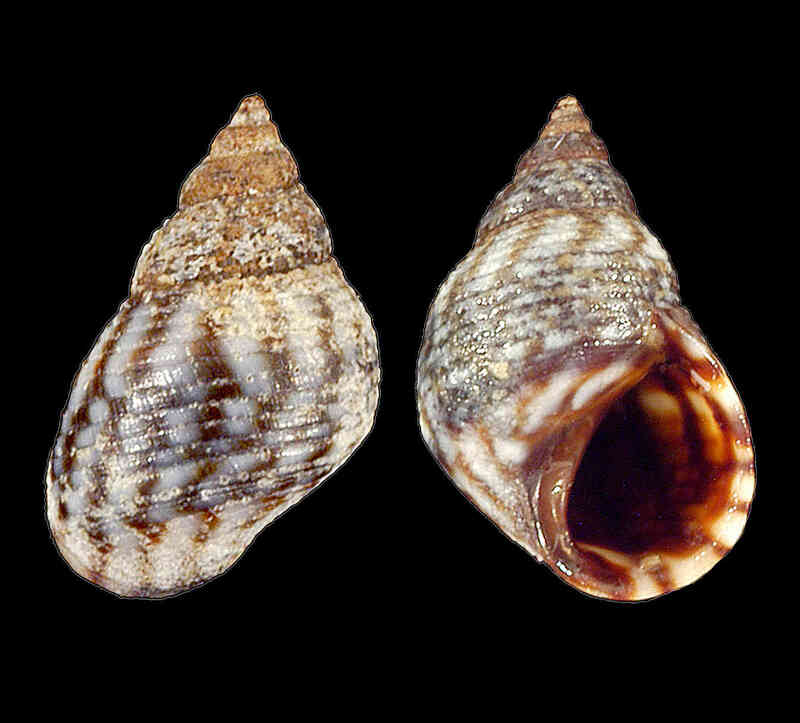 Shell size to 15 mm; shell pointed, solid, whorls with flat sides. Sculpture consisting of widely spaced spiral grooves. Aperture length about half of shell length. Color white with dark-brown, wavy or zigzag lines, and broad band of purplish-brown color on median part of last whorl; this band also visible in abapical part of previous whorls. Found on splash zone (supralittoral), on rocks or other hard substrates. Species previously listed as Nodilttorina interrupta (Philippi, 1847).